﻿ Forming students in faith, academic excellence, character, and service. Please be aware there are changes in the uniform attire for this academic school year. We hope that the changes will be more accommodating for our families. All families will have the fall semester to transition as student grow out of their old uniforms if necessary. Otherwise, student are expected to be in compliance with the uniform requirements. All changes in the uniform will be included in the 2018-2019 Student-Parent Handbook which will be made available at our Back To School Expo in August. For Girls K- 4th Grade: White Over Blouse along with the new Navy Sailor Tie with loop to be worn with the 2 Pleat Skort. For Girls K-4th Grade: The Peter Pan blouse with the blue piping is for the jumper option only. For Girls PreK3-PreK4: (OverBlouse not available in this size) Peter Pan Blouse worn with the Skort Option. 5th Graders will be wearing the Antonian Middle School Uniform dress code. The new middle school polo logos available for purchase will be embroidered with “ANTONIAN." The old polos with "Antonian Middle School" will still be acceptable. 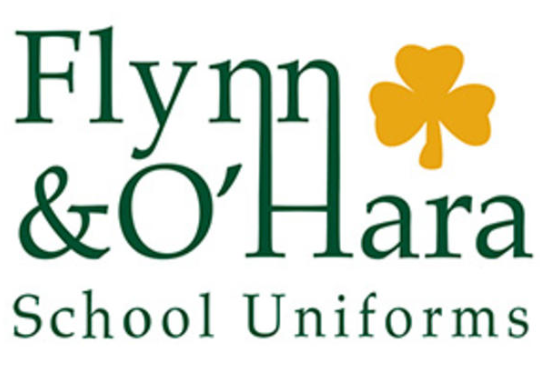 Join us at Flynno'Hara for a private uniform shopping event for our school's family on July 17th from 2:00 PM - 6:00 PM. Their staff will be available to measure students, answer questions specific to our uniform, and assist with purchases. Check out the school's custom shop site to view uniform options, pricing, or to place an order. If you are not attending the private event, please be sure to order your uniform by the end of July to ensure delivery by the first day of school.